The first review of the 2017 pumpkin season of beers! 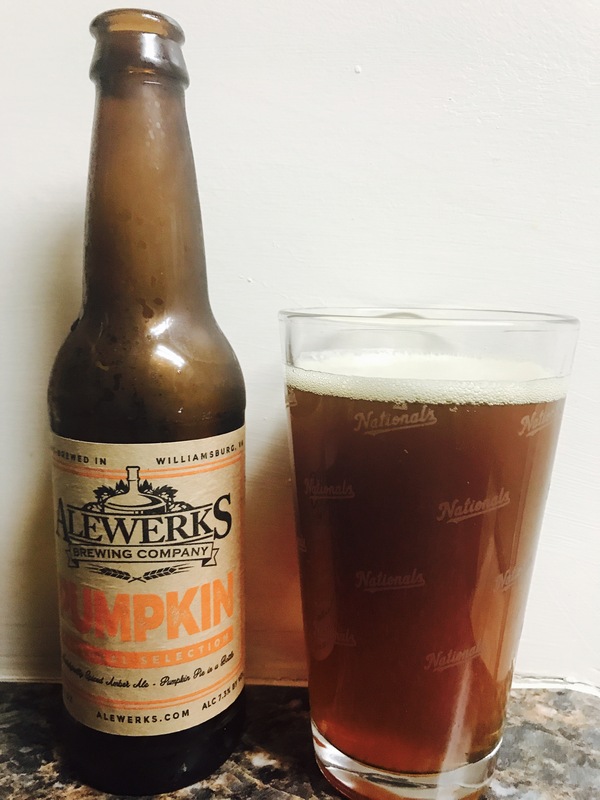 Alewerks brewing company, Williamsburg Va has joined in the pumpkin craze and I have to say it’s good! Great copper orangy color, the smell straight pumpkin and cinnamon. The taste is top ten right out of the gate. Not sure if I missed this one last year or if this is their first year but this beer is really good. And don’t forget the 7.3% alc content, the bar has been set. This makes me look forward to this years tastings even more. 4.5 stars, enjoy while it lasts.